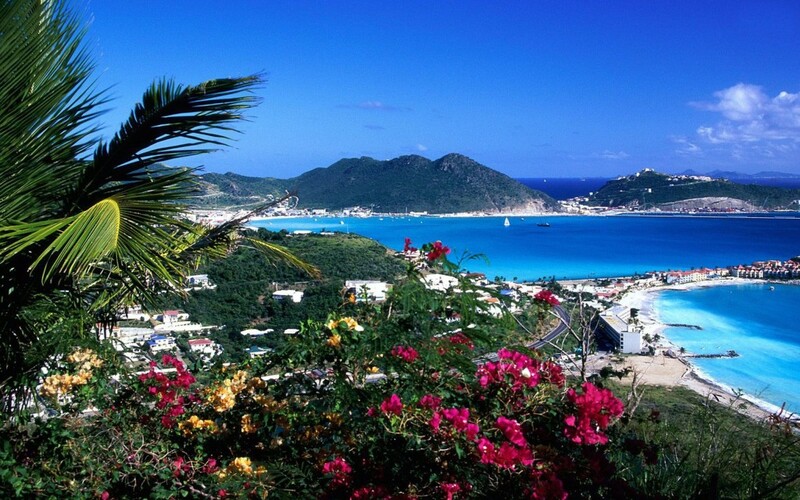 To observe the anniversary of the partition of the island of St. Maarten /St. Martin, the students of the M.A.C. 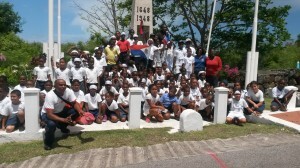 Browlia Maillard Campus, and the Aline Hanson School in Sandy Ground participated for the second year in a friendly running reenacting aspects of the legend or myth of how the island was divided. The race was held on Wednesday, May 31, 2017, from 8:30 am – 12:00 pm. 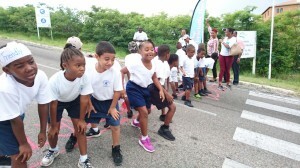 More than 150 students from both sides of the island participated in the relay race. The primary goals of the race was to promote cooperation between education institutions on both sides of the island; to develop cooperation based on our common history, to create student ambassadors of peace and friendship to promote UNESCO’s international values; to strengthen students’ sense of belonging to a “Friendly Island”; to inspire social cohesion by uniting citizens from various backgrounds; and to promote a healthy living style through engaging in sport activities. The route of the friendly race for the students of the M.A.C. Browlia Maillard Campus was from the frontier in Lowlands on the Dutch side: Mullet bay àMaho àAirport road àWelfare road à Union Road à Cole Bay Border Frontier. 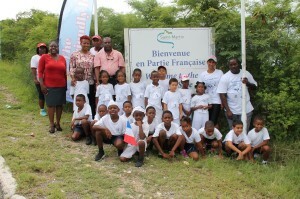 The route for the students of the Aline Hanson School was from the frontier in Lowlands on the French side: Terres Basses à Baie Nettléà Sandy Ground à Marigot à Low Town à Bellevue. Minister Jacobs was invited to officially open the race by firing the shot as the “go” signal for the students to begin their journey. 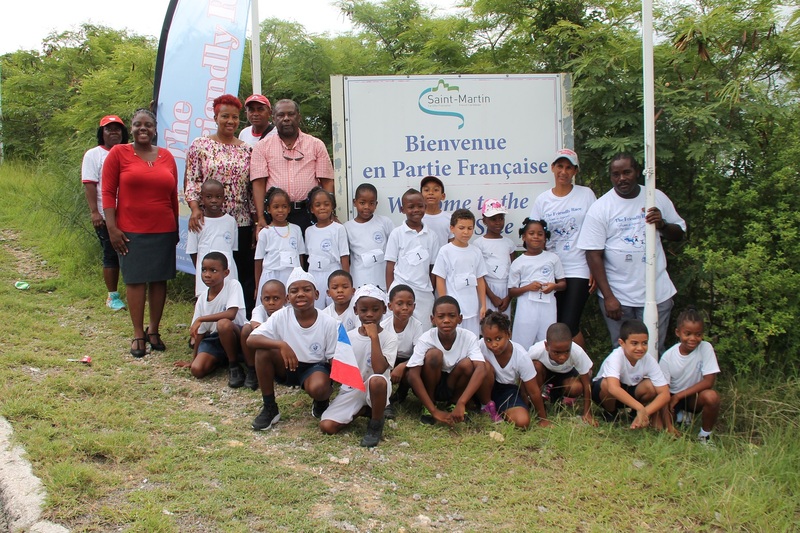 After the race, both schools met at the Sandy Ground Culture Center where speeches were delivered by Ms. Catherine Bandou, coordinator of the race, at the Aline Hanson School. 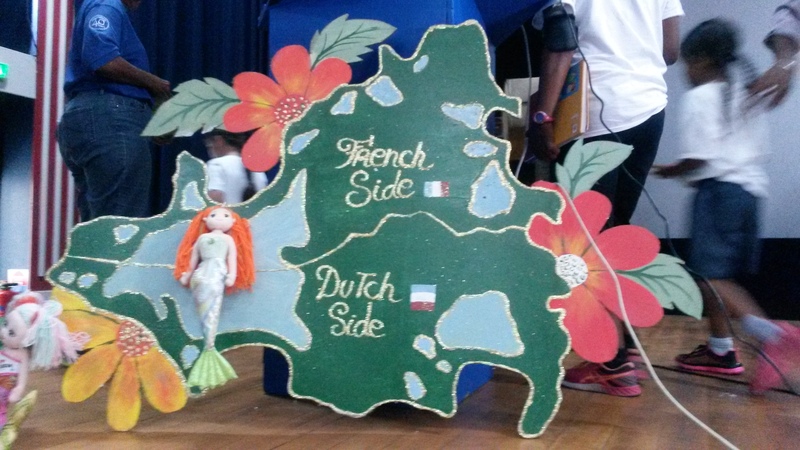 A speech was also given by Mrs. Juliana Hodge-Shipley on behalf of the Principal Tessa Davis-Marsha, from the MAC school. 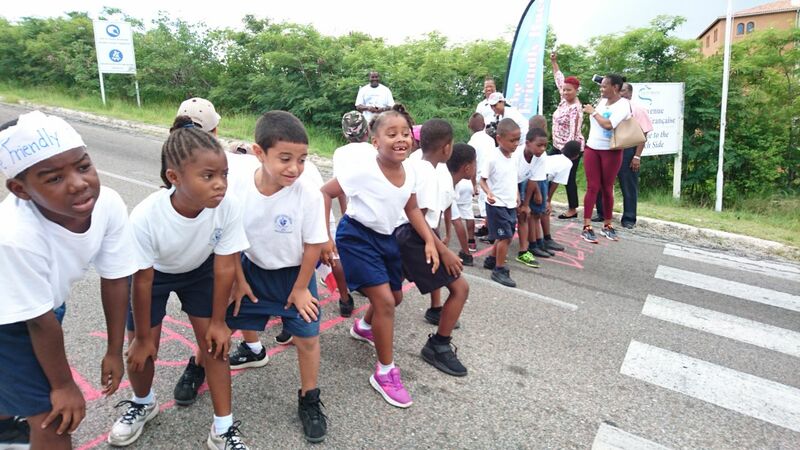 In both speeches, they congratulated the organizers of the event, including Ms. Marcellia Henry, SG of the UNESCO Office, both principals and most of all the students who participated in the race. At the culture center, a token of appreciation/small gifts were given to the students from the both schools as a symbol of continued friendship and unity. A Trophy was also given to the captains of the both schools to display at their respective schools.